Every member of the family will have the chance to be decked out in the latest trends! Enter now for a chance to win $100,000.00. 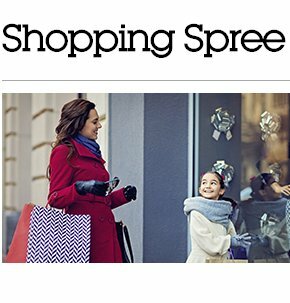 Treat your family (and yourself) to a fun-filled shopping spree and grab some must-have items.